Our white miso sesame dressing is so delicious and simple, you guys have to try it out. As you might have noticed within the last feed posts, our focus in recipe and product development for this year focuses mainly on gut health, fermentation, and ancient preservation methods. Why you might think? Because our stomachs welfare is directly related to our overall well-being. With a healthy intestinal flora, our overall organism (including the so important immune system) acts like a sports car in his career peak. We feel better, achieve more and our mental health increases with it. Read more about that within the recipe below. This saying is so true in many directions. The bidirectional communication between the central nervous system and gut microbiota, referred to as the gut-brain-axis, has been of significant interest in recent years. Increasing evidence has associated gut microbiota to both gastrointestinal and extragastrointestinal diseases. Dysbiosis and inflammation of the gut have been linked to causing several mental illnesses including anxiety and depression, which are prevalent in society today. Probiotics have the ability to restore normal microbial balance, and therefore have a potential role in the treatment and prevention of anxiety and depression. If you want to read more about that click here. 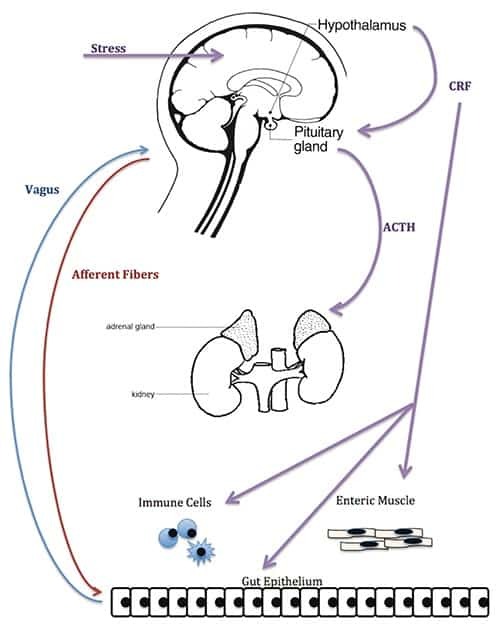 The gut-brain axis pathway. Image created by Megan Clapp and Emily Wilen. 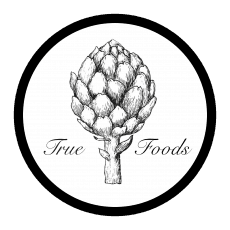 At Truefoods we focus on plant-based food that makes your belly, you, and your friends happy. In doing so we will focus more and more on research regarding gut-health, mental-health and community approaches within the world of food. Sharing our knowledge is important in the open data – new generation of change. We are all together sitting in the same boat (Bhūmi). 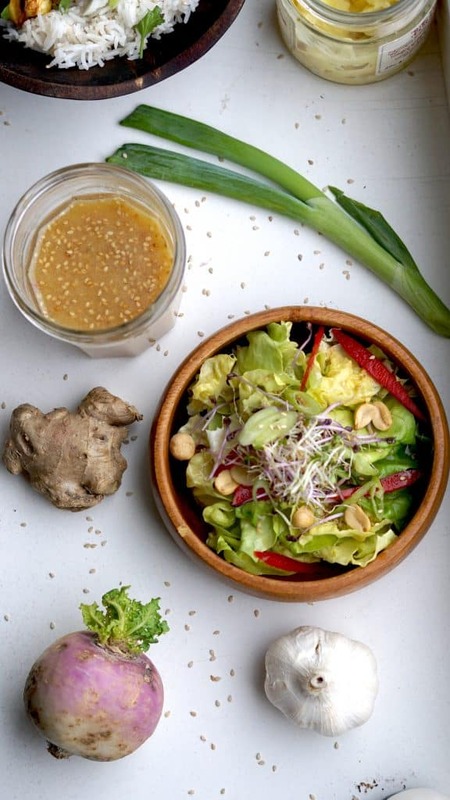 We think you guys are going to fall in love with this White Miso Sesame Dressing recipe and if you give it a try, let us know! We love seeing your comments, and especially your Instagram photos. Just tag them #Truefoodsblog so we can give them a look. 1. Miso Dressing: Fairly simple, just mix all the Ingredients together and shake until the oil emulsifies with the rest. 2. For the salad: wash the leaves, cut the bell pepper and avocado in fin slices, mix softly together with the spring onions and top with sprouts and peanuts.